More on one of my favorite foods, Chocloate! They were humble farmers who grew corn and dwelt in subterranean pit houses. But the people who lived 1200 years ago in a Utah village known as Site 13, near Canyonlands National Park in Utah, seem to have had at least one indulgence: chocolate. 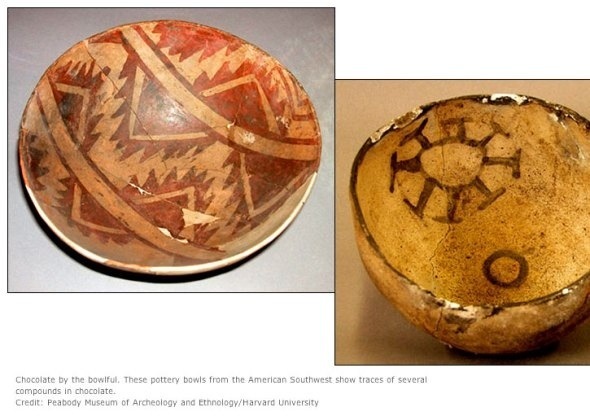 Researchers report that half a dozen bowls excavated from the area contain traces of chocolate, the earliest known in North America. 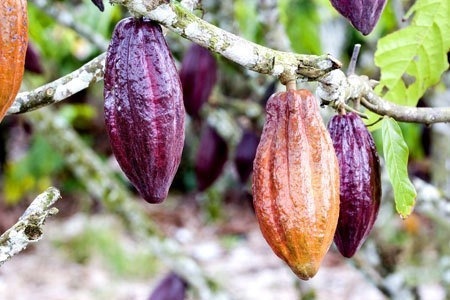 The finding implies that by the end of the 8th century C.E., cacao beans, which grow only in the tropics, were being imported to Utah from orchards thousands of kilometers away. The discovery could force archaeologists to rethink the widely held view that the early people of the northern Southwest, who would go on to build enormous masonry “great houses” at New Mexico’s Chaco Canyon and create fine pottery, had little interaction with their neighbors in Mesoamerica. Other scientists are intrigued by the new claim, but also skeptical. The findings stem from collaboration between Dorothy Washburn, an archaeologist at the University of Pennsylvania’s University Museum of Archaeology and Anthropology in Philadelphia, and her husband William Washburn, a chemist at Bristol-Myers Squibb in Princeton, New Jersey. In an earlier study, they detected evidence of cacao in pottery from 11th century burial sites in New Mexico’s Chaco Canyon and in vessels from other Southwestern sites. As a follow-up, the scientists tested bowls excavated in the 1930s from Site 13, which dates to roughly 770 C.E. The researchers swirled water in the bowls, then analyzed the compounds in the rinse water with a high-resolution liquid chromatograph-mass spectrometer, an instrument that separates the components of a mixture and then determines the mass of each. They found traces of theobromine and caffeine, both found in cacao, in nearly every Site 13 bowl they tested. 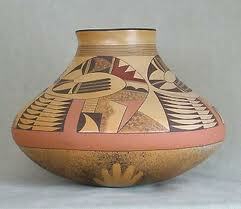 They also found the telltale molecules in vessels from other villages close to Site 13 and from two Colorado villages. Site 13’s cacao is the oldest in North America, eclipsing the Chaco chocolate by some 300 years. Humanity’s cacao habit dates back to at least 1900 B.C.E to 1500 B.C.E., when Mexico’s Mokaya people were already enjoying a chocolate drink. In Mesoamerica, cacao was mostly a food of the elite, who sipped a foamy chocolate drink, often spiked with spices, at banquets and other ceremonial occasions. But an 8th century village such as Site 13 probably would have been classless, so the chocolate would’ve been consumed by ordinary people. Villagers might have drunk it primarily for its nutritional value, rather than for ritual reasons, the researchers say in a paper in press at the Journal of Archaeological Science. Or, as Aztec warriors did, villagers could have taken cakes of maize and cacao on trips, reconstituting the cakes with water to make an early version of instant hot chocolate. Until now, the only known imports from Mesoamerica into the northern Southwest were limited quantities of parrots, copper bells, and a few other items, says Washington State University, Pullman, archaeologist William Lipe, a specialist on the Southwest. Most researchers think the cultural development of the Southwest was largely independent of Mesoamerican influences, he says, but a chocolate-drenched Southwest implies that Mesoamerica’s influence on Southwestern architecture and rituals might have been greater than expected. Other researchers, though tantalized, are also cautious, precisely because the new study and the authors’ previous research have found so much chocolate. If cacao were so common, there would be stories or visual references or historical references to it, writes Ben Nelson, of Arizona State University, Tempe, who studies the ancient cultures of northern Mexico and the American Southwest, in an e-mail. Dorothy Washburn responds that evidence of cacao’s importance may well be found in other artifacts from the time, once such objects are reexamined in light of the new findings, and that practices relating to cacao may have died out if people stopped eating it. She also says that their findings don’t rule out that the Site 13 villagers ate cacao mostly as a ritual food. At the very least, William Washburn says, the results suggest that “these people had acquired a taste for chocolate and knew how to prepare it”—making them not so different from modern-day chocolate lovers 1200 years later. Archaeologists have found residues of cacao — or chocolate — on 2,500-year-old plate fragments from the Northern Maya Lowlands in Yucatan, Mexico. Although cacao residue has been found in cups from other sites that are 1,000 years older, this is the oldest trace of cacao in this northern region. Perhaps more important, it is the first evidence that the Maya used cacao for anything other than as a drink. The presence of cacao on a plate suggests that it was used as a spice or sauce for food. Perhaps it was even a precursor of the popular mole sauce for meats, often made with chocolate, now widely used in Mexican cuisine. Researchers had previously thought that the only uses for cacao by the Maya were crushing the beans and dissolving it in liquid to make a drink something like hot chocolate, or fermenting the pulp that surrounds the beans in its pod to make an alcoholic drink. The plate fragments were recovered in 2001 by archaeologist Tomas Gallareta Negron of Mexico’s National Institute of Anthropology and History and his colleagues at Paso del Macho in the Southern Puuc region of Mexico. Paso del Macho, which dates from 600 BC to 500 BC, was a relatively small site, but must have been important because it had several small mounds and a ball court, said archaeologist George Bey of Millsaps College in Jackson, Miss., who also worked at the site. “The fact that the inhabitants were able to acquire and use cacao indicates they were part of the larger Maya world even at this early date,” he said in a news release announcing the discovery. 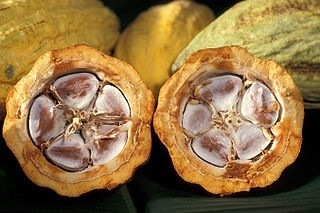 Chemist Timothy Ward of Millsaps and his colleagues extracted the residue from the plate fragments and submitted it to mass spectrometry, which identified a ratio of theobromine and caffeine characteristic of cacao. August 3, 2012, 11:18 a.m.
Chocolate may have provided sweet impetus for extensive trade between ancient northern and southern societies in the Americas. Pueblo people living in what’s now the U.S. Southwest drank a cacao-based beverage that was imported from Mesoamerican cultures in southern Mexico or Central America, a new chemical analysis of Pueblo vessels finds. Pueblo groups and an ensuing Southwest society traded turquoise for Mesoamerican cacao for about five centuries, from around 900 to 1400, proposes a team led by archaeologist Dorothy Washburn of the University of Pennsylvania in Philadelphia. Surprisingly, large numbers of people throughout Pueblo society apparently consumed cacao, from low-ranking farmers to elite residents of a multistory pueblo, the scientists report online March 4 in the Journal of Archaeological Science. “Since cacao was consumed by both Pueblo elites and nonelites, active trading for cacao must have occurred with Mesoamerican states,” Washburn says. Washburn’s study was inspired by a 2009 report of cacao residue in three jars from an 800-room pueblo, known as Pueblo Bonito, in New Mexico’s Chaco Canyon (SN: 2/28/09, p. 14). Pueblo Bonito dates to the 11th century, and Chaco Canyon was a regional center of Pueblo life from about 900 to 1130. That initial evidence of cacao drinking in Chaco Canyon surprised many archaeologists, who long have assumed that cultures of the Southwest and Mesoamerica had minimal contact. Yet previous Pueblo finds in Chaco Canyon include macaw remains, copper bells and decorative items that must have come from Mesoamerica, remarks archaeologist Ben Nelson of Arizona State University in Tempe. “To find that cacao consumption was much more widespread strengthens the case for regular exchange with populations in Mesoamerica,” Nelson says. He has argued that leaders of ancient Southwestern societies appropriated selected aspects of Mesoamerican cultures for their own purposes, perhaps to justify their power and prestige. Washburn and her colleagues identified traces of theobromine, a chemical found in cacao plants, in 50 of 75 pitchers and bowls from Pueblo Bonito, surrounding Pueblo farming villages and 14th-century graves of high-ranking members of the nearby Hohokam society in Arizona. Hohokam sites contain ball courts and massive platforms much like those in Maya and other Mesoamerican cities, Washburn says. Other researchers have matched the chemical signature of turquoise from mines in New Mexico to that of turquoise found at several Mesoamerican sites, including the Maya site of Chichen Itza. In Washburn’s view, mines in the U.S. Southwest, but not Mexico or Central America, contain turquoise of high enough quality for mosaic tiles that were used in Mesoamerican designs. Mesoamericans built 500- to 800-room pueblos in Chaco Canyon as administrative trading centers, she hypothesizes. Newcomers from the south brought a cacao-drinking habit with them and introduced the beverage to locals. Washburn plans to examine whether Pueblo groups in other parts of the Southwest used cacao. In particular, she wants to look for theobromine in vessels that display stylistic links to Mesoamerica, such as jars with indented bases. Theobromine-containing cacao plants grow in tropical parts of Mexico and Central America but not in the U.S. Southwest, she says.